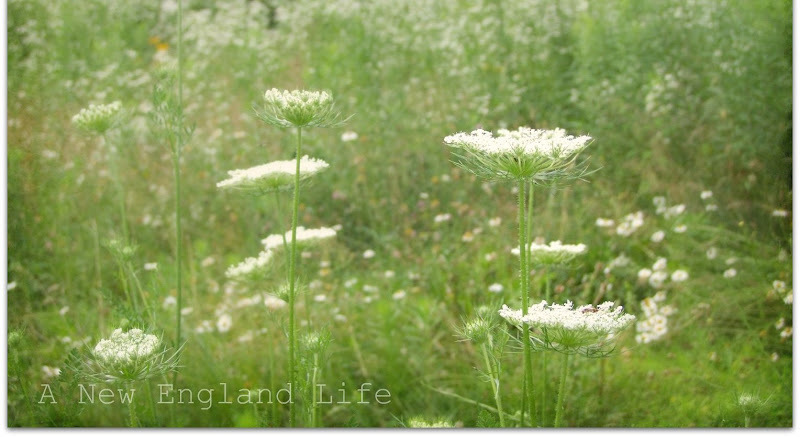 A New England Life: The queen has arrived . . . The queen has arrived . . . Lately I'm relishing in all things pretty, lovely, summery, and white. It just makes me feel good. My hope is that you too, are loving summer as well! These are just beautiful Sharon!!! 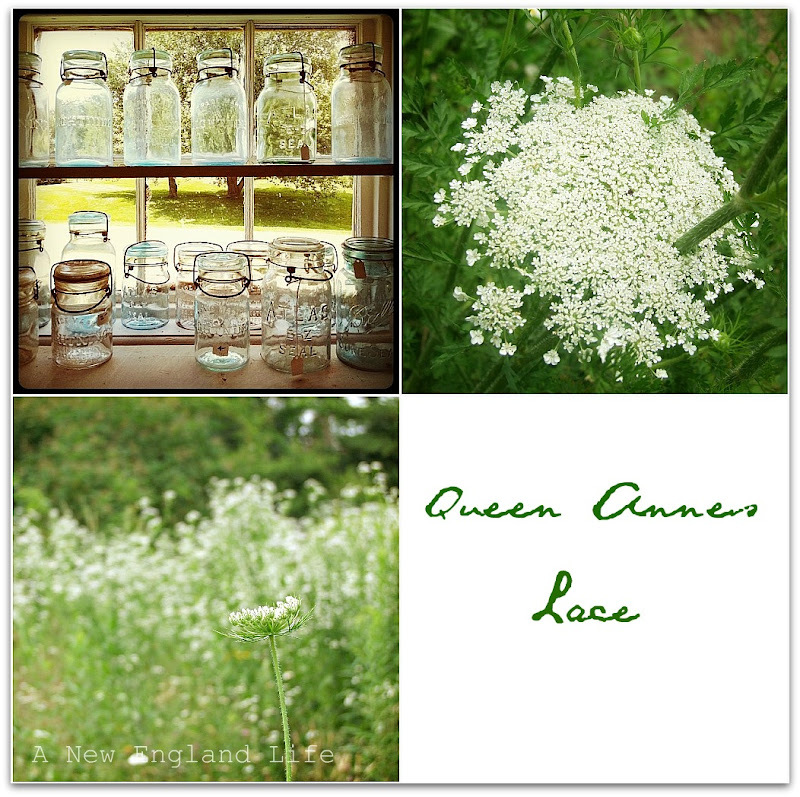 I have a friend who lives for Queen Ann's Lace!! hahaha! I'll make sure I send her this post! Absolutely gorgeous! 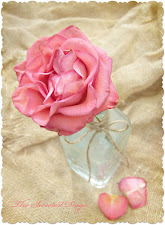 I love flowers displayed in old mason jars. I saw an entire field of these beauties the other day. It reminded me of when I was young and played Barbies with my friends. We would pick the small blooms for Barbie's bridal bouquet! 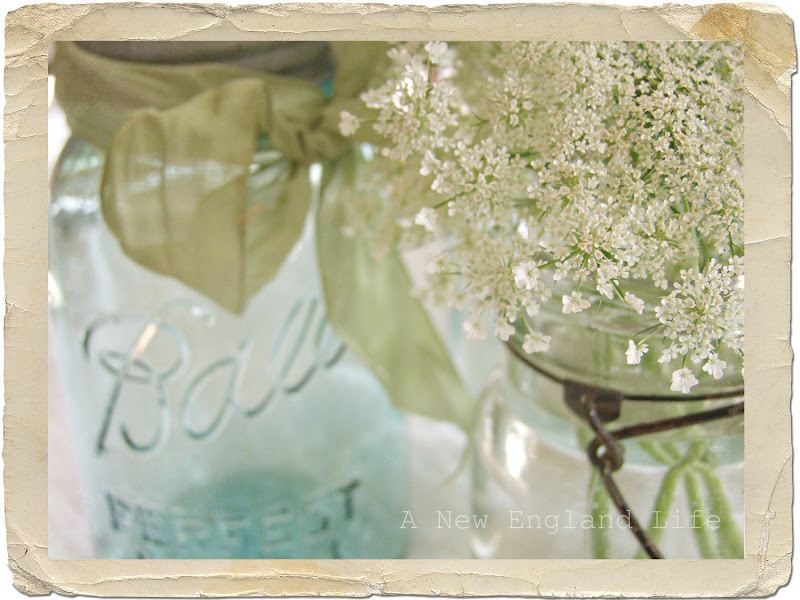 I adore Queen Annes Lace, I had some on my table tonight for friends over for dinner. I really enjoy how you vary the graphics so each picture is different but a common theme. The off white frames are great, howsyoudothat?? So beautiful and tranquil Sharon!!! I love your pictures ~ they always make me feel the need to slow down and savor life. Your work is always an inspriration to me. I like the old-fashioned photo look. May I ask where and/or how you did that? Beautiful! She has just made her appearance here, too - feels like summer! It's beautiful... I don't know that I have noticed any Queen Ann blooming here yet. But the berries are in full swing! I can't believe how lovely those photos are! She was just in time for the royal couple too! What great timing! Very Pretty! I like the technique you used. So gorgeous, I adore your processing and the bar jars! Such beautiful pictures! 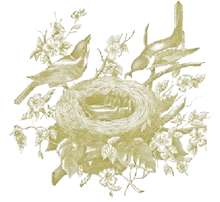 It was a pleasure to discover your blog, and a fellow New Englander! these are just so stunning .... I'm speechless! Beautiful, gorgeous photos. I  Queen Anne's lace! I'm loving summer but loving your photos even more. 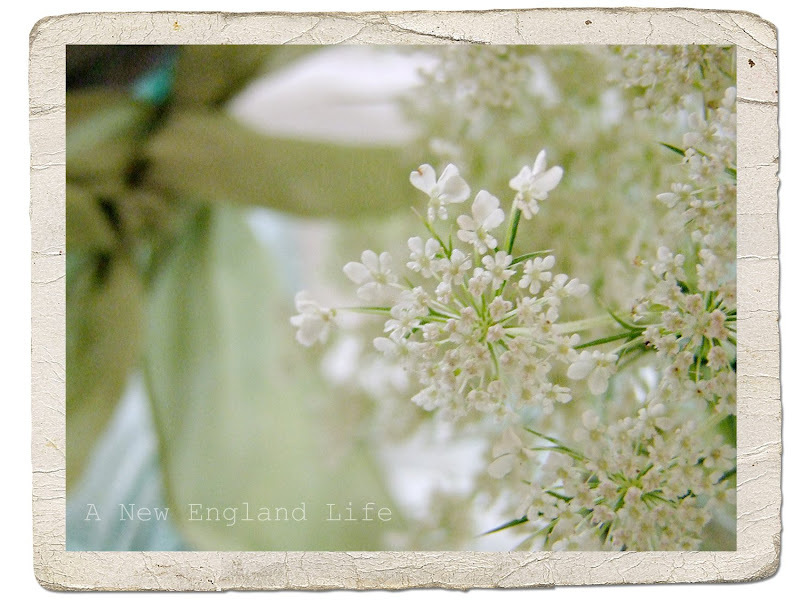 When I was a kid, Queen Anne's Lace was my favorite wildflower - it just seemed so romantic and storybookish to me. Thanks for the beautiful photos! White is a cooling color and probably why I like it so much. I hesitate to admit this but summer is not my favorite season....except for the flowers I hate the heat that comes with! Today was a steam fest! 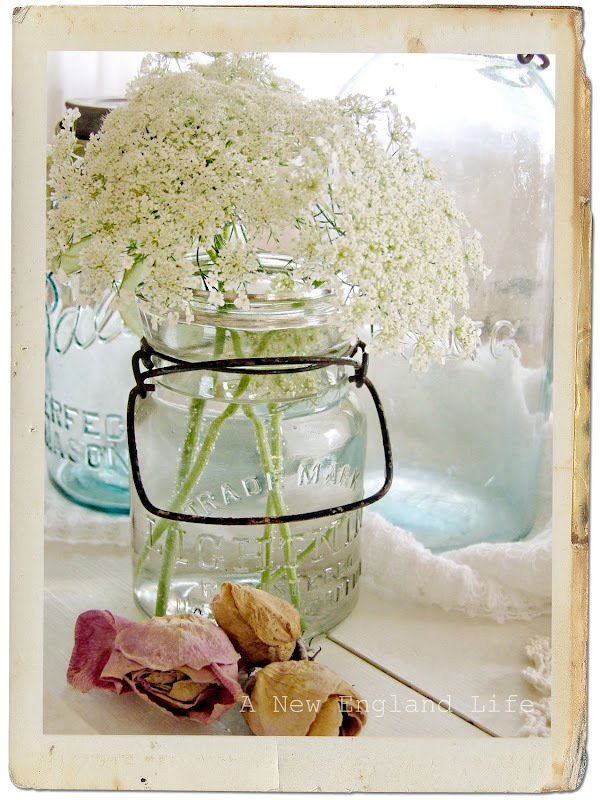 Beautiful...love the look of the Queen Anne's Lace in the canning jars! Gorgeous photos. I love the framing, the processing, and everything about them. Nice!! A treat for the eyes! Love all of your photos and the frames. So romantic! Wonderful series of photos of the QAL!! One of my summer favourites, too! My favourite shot is the window full of canning jars, though! Beautiful. I love the photo of the jars in the window. What a beautiful flower that is. I also like the photo go the jars in the window.